Rollex OG Kush is strong and hugely popular indica which grows like a sativa; tall and thin, so make sure you leave enough time and space for it to properly flourish. It can flower late, even into October in the outdoors. A few years back the Devil's Harvest crew toured the U.S. medical marijuana states and had the opportunity to sample some of the best and most beloved Kush strains out there at the time. They found several strong strains, but in many cases they felt a little something extra was needed to put the vigour back into the lineage. Of the many strains they sampled, only a handful truly had that unique flavor coupled with a strong effect. 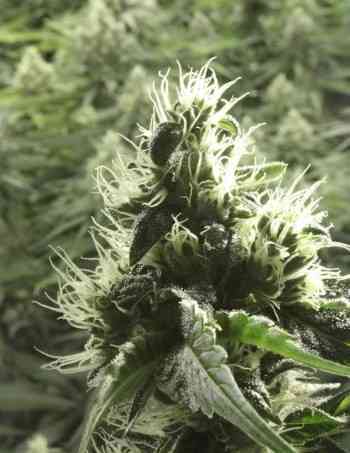 Rollex OG Kush is a hybrid of OG Raskal’s White Fire plus a Kuchi male. The guys from Devil's Harvest found an amazing phenotype in Raskal’s “WiFi”, and when they crossed it with their Kuchi male they were able to produce some seriously next-level offspring. This resulted in one of the strongest mixes they have come across to date. Loaded with a high THC count, this OG Kush strain is one to take you off your feet after a long day. For us, it’s timeless, as we can appreciate her smooth flavor over and over again—and we never get tired of it! In 2013, Rollex OG Kush Feminized exploded on the scene and took home a 1st place victory in the annual and highly coveted High Times Cannabis Cup Amsterdam. This success continued in 2014 when it again scooped 1st prize, this time in the High Life Cup.